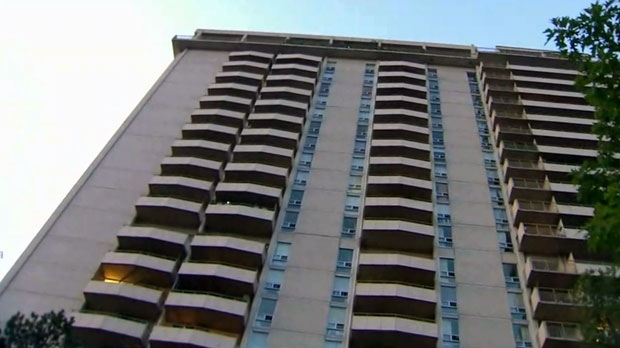 Despite the unseasonably warm September weather, residents in some Toronto apartment buildings have been coping with sweltering temperatures inside of their units after landlords turned on the heat, prompting the mayor to weigh in. In compliance with a city bylaw that requires landlords to provide heat in order to maintain a minimum indoor temperature of 21 degrees between Sept. 15 and June 21, a number of buildings already have the heat turned on, despite the scorching temperatures outside. 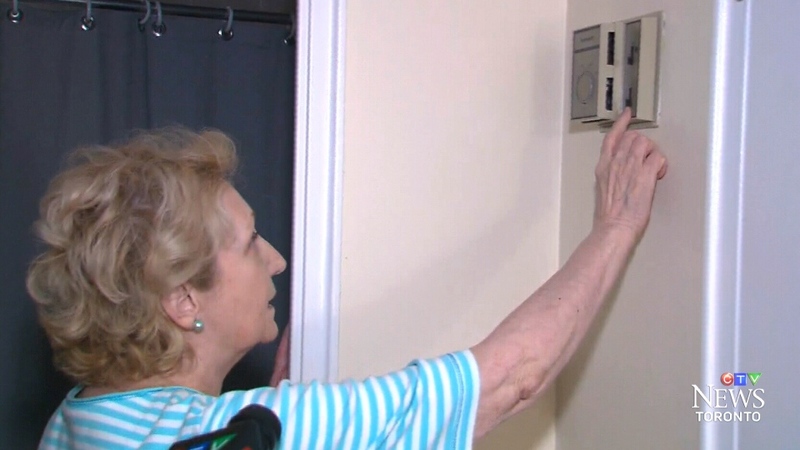 Mayor John Tory addressed the matter on Thursday, telling reporters that he’s prepared to review the city bylaw instructing landlords when to switch between heating and cooling systems. “I maintain the principle that we have to make sure that people are subject to a reasonable environment in their apartments, hot or cold, during the winter season especially, but do it in a way that is perhaps more accommodating to the fact that weather changes from time to time,” Tory said. A tenant at an apartment building located on 44 Jackes Ave., near Yonge Street and St. Clair Avenue, told CP24 that it’s currently 28 degees in his unit. Another resident in the same building, Donna Barrett, said she has severe asthma and the hot weather has been difficult for her. “I am sitting here perspiring and I try to just be still,” she told CTV Toronto. Toronto city Coun. Josh Matlow said he’s received the most complaints from tenants living in the midtown Jackes Avenue building. Despite repeated calls to the building’s management, Matlow said Wednesday evening that he was still waiting for a reply. The landlord told frustrated tenants that they were obliged to turn off the air conditioning on Sept. 1. Residents said they received a notice from management on Wednesday explaining that the air conditioning will not be turned on again because it takes five days for the system to work and by that time, they would likely need to switch to heat again. The building’s management said a “cooling room” and fans would be available to tenants in the interim. Residents at another apartment building located at 1500 Keele St. have also been struggling in the late-season heat after the air conditioning was shut off last week. The man said he hasn’t been able to sleep because of the oppressive heat and that he has been relying on a ceiling fan and two other small fans pointed at his bed. Bhikram found some welcome relief later that day, however, when the air conditioning was turned back on after the property managers learned they wouldn’t be fined. Matlow is asking Toronto landlords to adjust the temperatures of their properties to reflect the weather outside. Apartment-dwellers in those buildings with the heat on will have to suffer a little longer as the temperature highs are expected to stay above 26 degrees until Sunday in Toronto. The end of next week could bring some much-needed relief when the temperatures are predicted to drop. The exterior of a mid-town apartment building dealing with the heat being turned on in high temperatures is shown. Donna Barrett said the heat has been difficult for her because she has severe asthma.